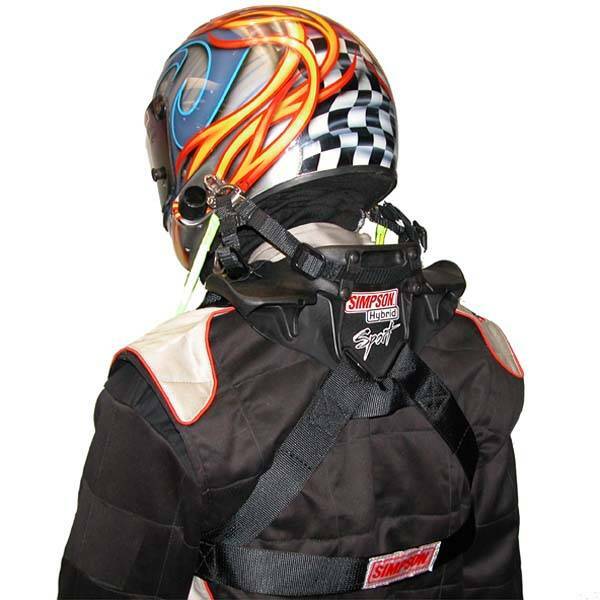 Simpson's Hybrid Sport Child & Youth SFI 38.1 Approved head & neck restraint system and it is manufactured of high quality composite and carbon fiber in the USA with smaller (youth) sizing for younger drivers. 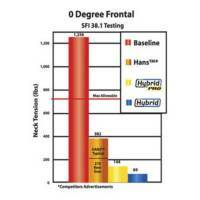 Please refer to sizing chart to determine correct size. 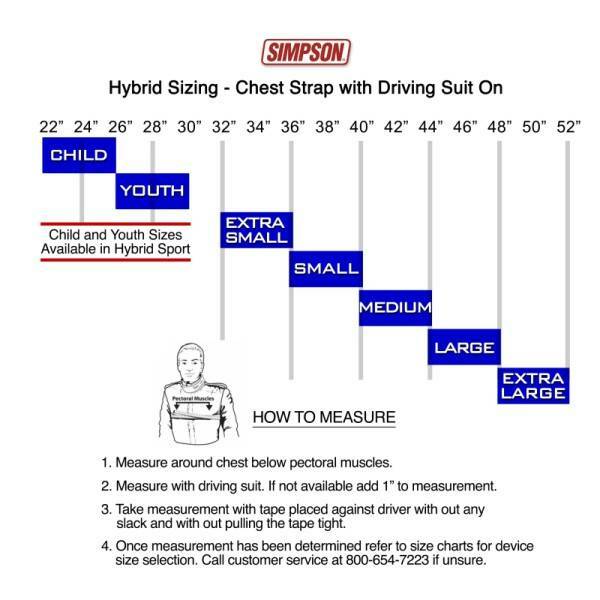 Please be sure to take measurement with racing suit on. 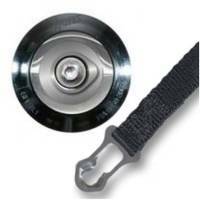 D-Ring Quick Release Tethers are standard. 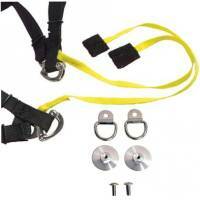 Units can be special ordered with optional Post Anchor Tethers (Hans Device Style) or M61 Tethers. 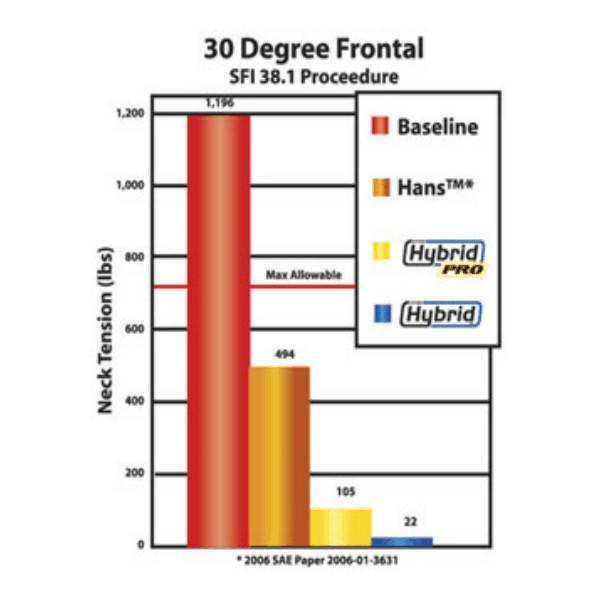 Simpson's Hybrid Sport Child & Youth SFI 38.1 Approved head & neck restraint system and it is manufactured of high quality composite and carbon fiber in the USA with smaller (youth) sizing for younger drivers. 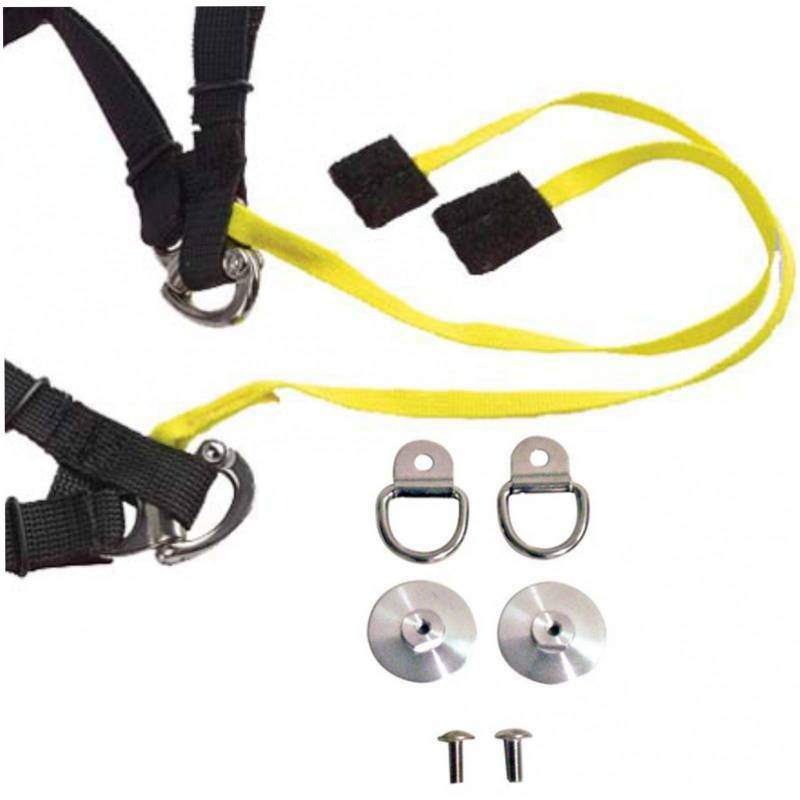 It was developed through extensive testing combining the patented Seatbelt Anchor System (optional) and the patent pending Side Stabilizing Gusset. 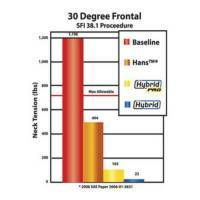 The compact design (7") minimizes the size giving you the first device not requiring seat modification. 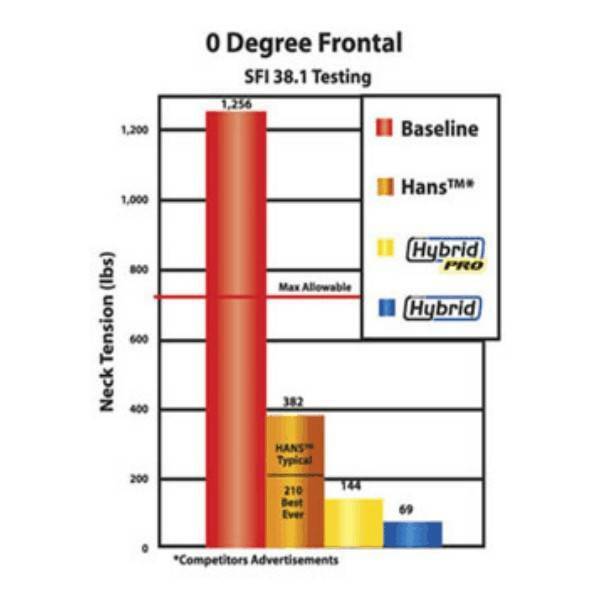 The Simpson Hybrid Sport offers the same features as the Simpson Hybrid Pro Slide in a value priced composite version. Minimalistic design. Compact size under 7"
M61 Upgrade, retrofit after purchase +$65. Custom sizing available. Please call us for details. 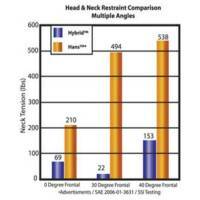 Is your helmet currently fitted for a HANS but you would like to upgrade to a Simpson Head & Neck Restraint. Simpson hardware corresponds to the same location. 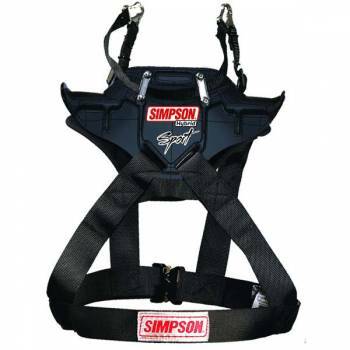 Simpson Hybrid Head and Neck Restraints are the only choice for racing protection. 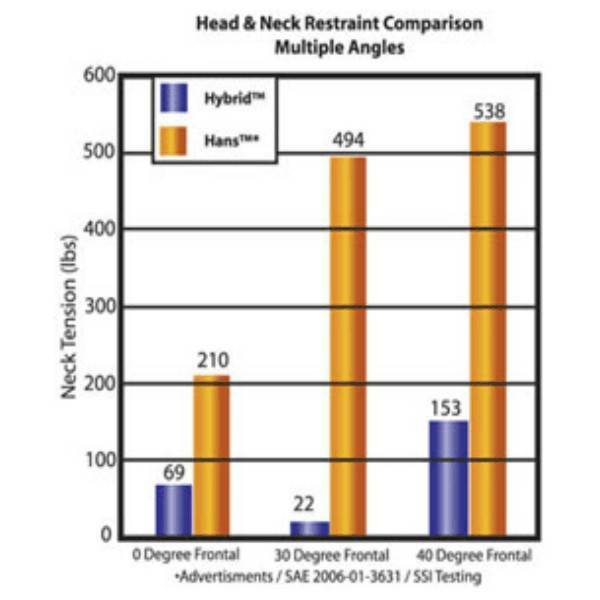 Hybrid Head & Neck Restraints offer the lowest profile , designed for easily exiting the car without the danger of getting hung up on other gear. Plus, they provide you with maximum comfort and maneuverability. Expertly engineered by Trevor Ashline with Safety Solutions technology, Simpson Head and Neck Restraints give you every advantage on the track. 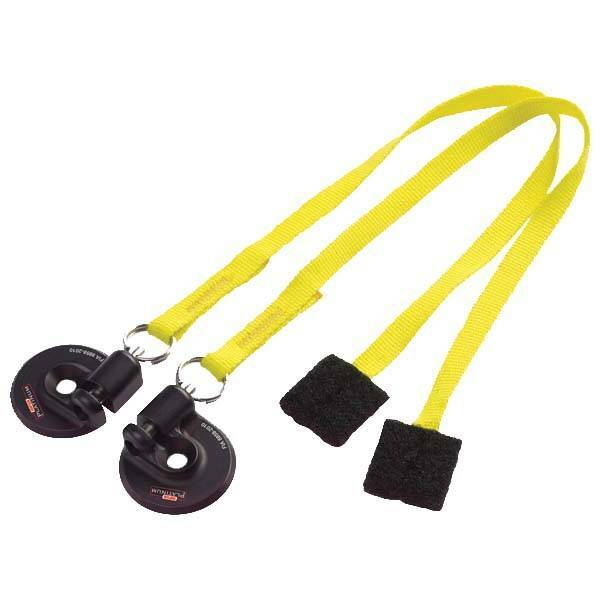 NOTE: Typically, Hybrid Sport units with standard D-Ring Anchors and Quick Release Tethers ship next business day. Due to the many special order variations of this product that are available, special order units are custom built to order. Please allow three to five business days after you place your order for your device to ship. 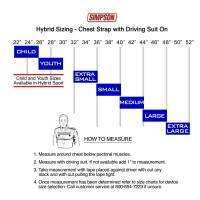 Pit Stop USA offers Simpson Hybrid Sport Child and Youth Head & Neck Restraints- SFI 38.1 Approved HS.CHD.11, HS.CHD.11.SAS, HS.YTH.11, HS.YTH.11.SAS, at low everyday prices. Be sure to check out all of our products from Simpson Race Products including Simpson Race Products Hybrid Sport Head and Neck Restraints. Hybrid Pro Safety Tutorial from simpsonraceproducts on Vimeo.